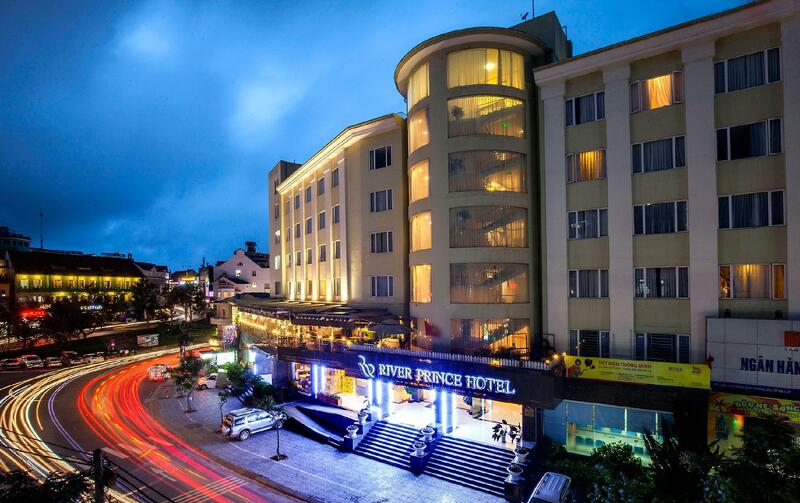 Have a question for River Prince Hotel? "Really I enjoyed studying in this hotel every things was winderful and staff was great location so close to most places here also not expincive"
"Pub across the road has great happy hour all drinks but one get one free!!" "Good place to stay in nice"
Each of the 104 rooms at this fine 3.5-star hotel feature superior amenities. 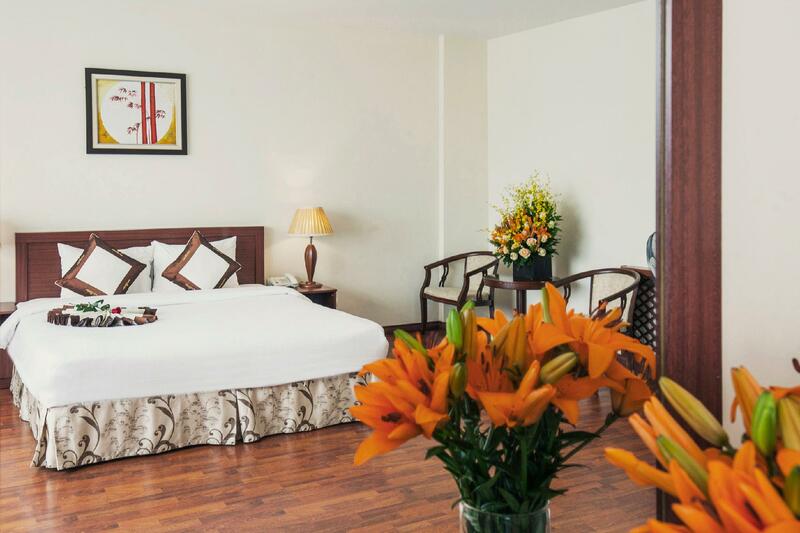 There is internet access and a television in each of the hotel's well-equipped rooms. 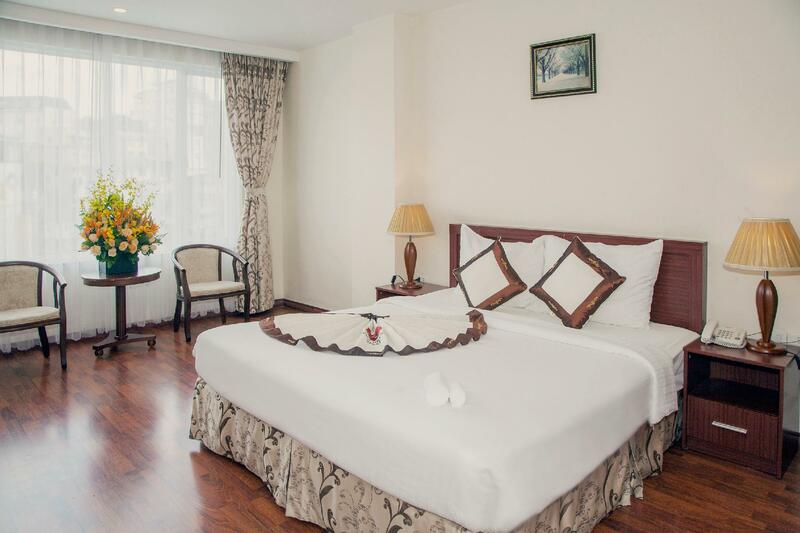 River Prince Hotel in Dalat also has room service, a restaurant, and safety deposit boxes. Offering guests quality accommodation since 2010, this hotel combines first-class service and the most modern facilities. Please enter your dates on our secure online booking form to make a reservation at River Prince Hotel. 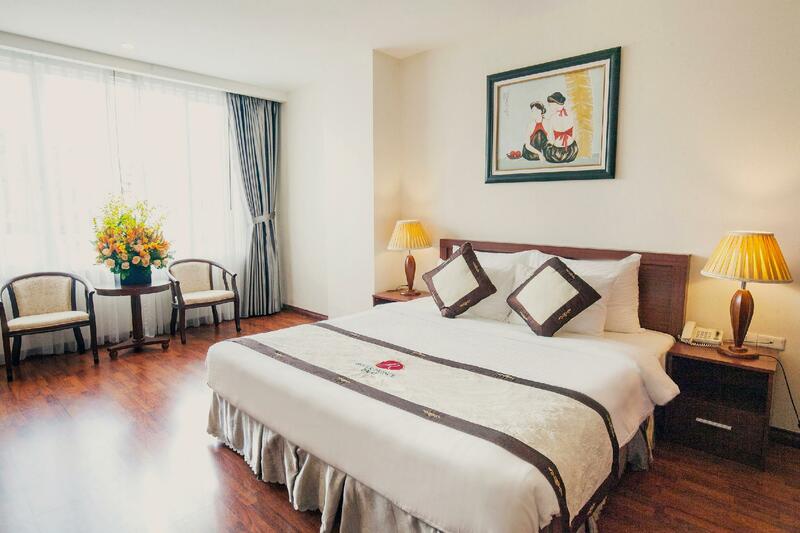 This hotel is very well located, close to markets and restaurants. There was no air conditioning in our room nor exhaust fan in the bathroom. For it's age the bathroom grout and tiling could be cleaned up, but not unsanitary. The room was was quite large, very firm bed, but comfortable. No deposit box provided in the room, but valuables could be left in security at the desk. This hotel is great value for money. The room was very big and the bed was very comfortable. I had a very good night's sleep because the room was very dark and quiet. The breakfast was limited but there was enough food. The staff was very friendly and helpful. I would stay here again. We took Shin Tourist bus from HCMC to Dalat. When we arrived at Dalat, we took a taxi, and the driver did not go to the hotel straight. The fare was almost 60,000 VND instead of 20,000 VND. The hotel was great but the breakfast was good enough when they don't offer buffet due to lack of customers. View from the room was not good. Only thing we could see was poor roofs of poor housings. Breakfast was great when they offer buffet. The hotel was close enough for Dalat Market and Lake. The market opened during the nights as well. I enjoyed my stay there the staff were very friendly and helpful. The rooms were big and clean the bath room was big too but what i didnt like was there was no safe in the room and the bar was closed for renovations. I would stay stay there again. Rooms are big, clean; A nice short street leads to the market. The room was clean, big and quiet. I was told that most local travelers had left near the end of the school summer break. There are a couple of little nice restaurants opposite. A short walk along a nice little street (full of cafes) leads to the market. Breakfast was average. we stayed in this hotel during the first time to da lat. before choosing this hotel, i read the comments of the reviewers and they were correct. this place is very nice. it is close to the da lat market and has a few nice shops nearby. the reviewers were also right about the breakfast buffet. it is less than satisfactory with not many choices to choose from. but i don't really mind. nevertheless, for this reason, i take one point off and would give the place 9 over 10. for the price, this place offers value. we will definitely come back to this place the next time we visit da lat. the hotel is new with big rooms. 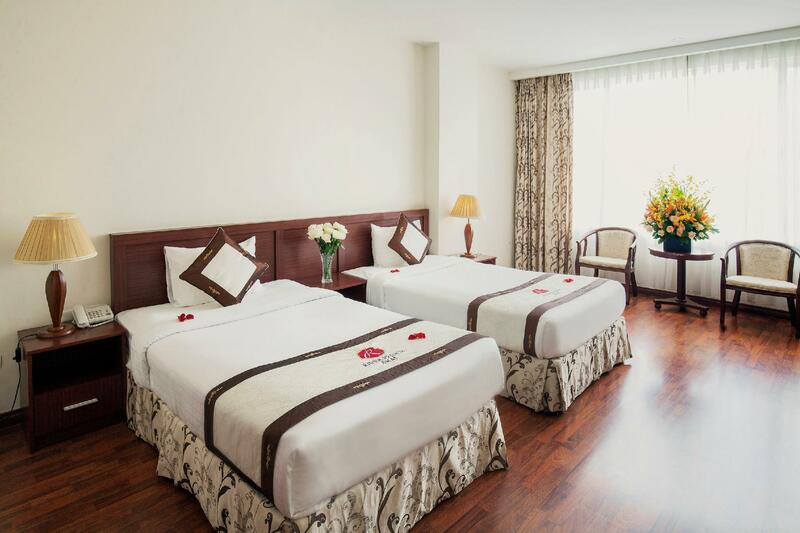 deluxe double bed rooms are big (39 sq m). cean and comfortable and quiet. it is near to cho da lat (the dalat market) and the dalat night market. it is about 5-8 minutes' walk away if you know the way. 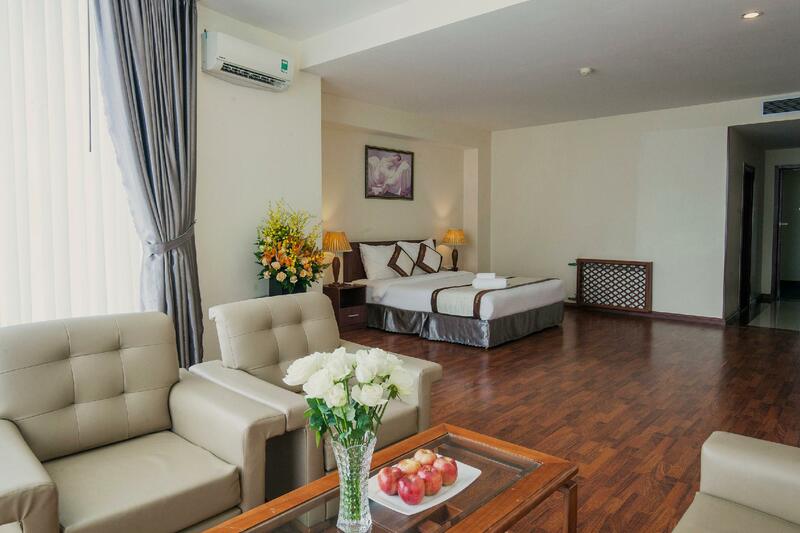 the rooms are big, clean and comfortable. everything works as the hotel is new. the buffet breakfast is wonderful with plenty of choice. it is very near to the dalat night market which we visited every ngiht during our stay. my room, a junior suite was big, clean and comfortable (63 sq m). the toilet is big, with bath tub and shower in seperate sections (so, two persons can take bath at the same time). the receptionist, tran mai quynh was especially helpful and smiling all the time even when she was busy at work.she helped to arrange our one-day tour, phoned the bus station to get them to pick us up to the station and was very obliging to arrange for our take away breakfast in the middle of the night. thanks to nguyen thi hong ha working at the ruby restaurant for preparing our take away breakfast. location, size of room, comfort. We had an awesome suite we managed to pick up very cheaply and this place really was well above what we expected. Breakfast was really good and the hotel locations was also really good if a little bit out of the main areas of action in Dalat but as it wont take more than 10 minutes to walk from one side of town to another that wasn’t an issue. We had an awesome suite we managed to pick up very cheaply and this place really was well above what we expected. The room didn’t have air conditioning but this was not an issue in Dalat, there were a few things missing that you would expect in a 4 star hotel but these weren’t an issue for us. Breakfast was really good and the hotel locations was also really good if a little bit out of the main areas of action in Dalat but as it wont take more than 10 minutes to walk from one side of town to another that wasn’t an issue. I booked an Executive suit. the room was large and comfortable, except for one point that it didn't have heating system as mentioned on Agoda. I talked to the receptionist but they blamed on Agoda for wrong advertising, and didn't make anything to compensate for us as a good will. The hotel is good but I will not come back as bad support from the hotel. Try going to breakfast with 200 vultures on their last meal what a nightmare by the time we got in they had cleared out all the fruit and toast! This place caters for bus loads with no thought for others! Booked tour with them paid350k each tour was only $270k they add a big cut! Airport into town was200k asked hotel to book for us totally ripped off 450k on arrival not happy with the hotel as they are obviously in on it. Position was good but wouldn’t go back because of this! Pub across the road has great happy hour all drinks but one get one free! !